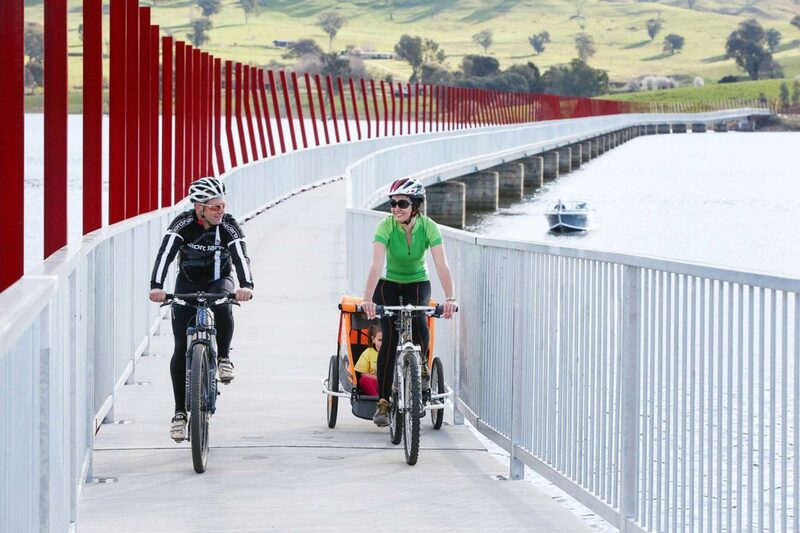 Stretching 44 kilometres from Wodonga to Old Tallangatta, the High Country Rail Trail hugs the shoreline of the majestic Lake Hume. Ride back in time to the 1950s when the town of Tallangatta was relocated, and the old town flooded by Lake Hume. Cross the sparkling lake over the bright red 600 metre Sandy Creek Bridge to visit the new and old town sites. Pack your panniers with regional produce for a lakeside picnic at Ebden, Ludlow’s or Huon Reserve, or take a refreshing dip while you simply soak up the sweet serenity.